The basic accord reached on payments, retirement issues, working conditions is a breakthrough for both sides, the Lufthansa Group including LH Cargo and Germanwings and their belligerent pilot union Vereinigung Cockpit (VC). Thanks to the settlement reached today (15 March), passengers booking LH and the company’s freight clients can sit back and relax – at least until 2022. Fourteen pilot strikes since 2014 leaving millions of passengers and cargo shipments stranded, with costs so far exceeding 500 million euros and ruining the core reputation of the German crane as a reliable airline. 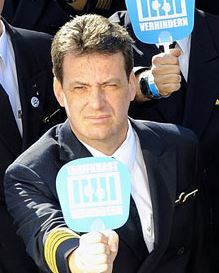 Those are – in a nutshell – the devastating results of the continuous walkouts initiated by the tiny union VC Cockpit in their struggle to conserve their member’s many privileges conceded by the LH management some 15 years ago in a completely different aviation environment. Did VC’s fierce fight pay off? Hard to tell because numerous tariff issues are still the subject of further negotiations before both conflicting parties can gather to sign a final accord. Therefore, it’s premature to sound an all-clear signal because the devil lies in the detail. Still, classifying the collective bargaining agreement announced today by LH and VC as a breakthrough, resembling a ceasefire situation after a fierce three year-lasting tariff battle is no exaggeration. According to Lufthansa, the accord reached on wages, occupational pensions and other subjects is to be valid until mid-2022. Conversely, their pilots accept the conversion of working pensions to fixed contributions. Up to now, Lufthansa had guaranteed the absolute level of payments and thus assumed high interest rate risks. The new regulation will already have an impact on the balance sheet in fiscal 2017. Lufthansa guarantees their 5,400 cockpit staff that at least 325 jetliners will be operated by mid-2022 under these conditions. 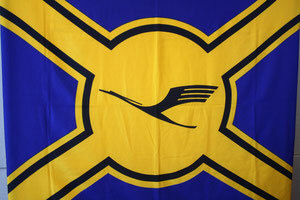 This roughly equals the current number of aircraft operated by the LH Passenger Airline. It would result in 600 vacancies for captains, and around 700 already trained junior pilots could be given firm positions. VC Board member Joerg Handwerg speaks of concessions made by his union enabling LH to reduce their cockpit costs on average by 15 percent. Conversely, he stresses that the LH bosses are committed not only to protect the jobs of the cockpit staff at Lufthansa, Lufthansa Cargo and Germanwings, but also to create prospects and career opportunities for their cockpit crews. Asked by CargoForwarder Global for a comment, Lufthansa Cargo circles lauded the tariff agreement, pointing out that the deal gives freight clients planning security for their business, when selecting LH Cargo as carrier of choice. Tomorrow (16 March), LH presents their 2016 fiscal results. According to analysts, the profit will exceed the €1.7 bn surplus made in 2015. Simultaneously, Lufthansa Cargo’s 2016 financial outcome will be announced. Market observers expect the carrier to have slipped into the red last year after reaching sales of €2.35 bn in 2015, leading to an adjusted Ebit of €73.5 million in fiscal 2015.